The goal of this book is to assert the ever present need for Christ amidst Christian political and social action. Published in 1986, Carl F.H. 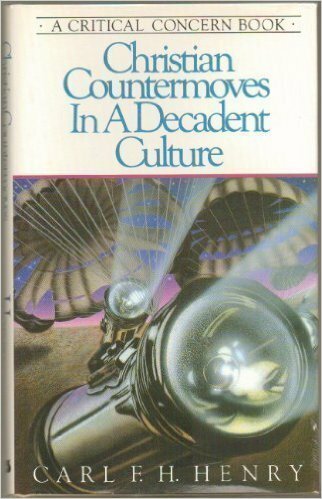 Henry’s Christian Countermoves In A Decadent Culture (1986) serves as a follow up to Henry’s The Christian Mindset In A Secular Society (1984). Also published by Multnomah Press as part of their “Critical Concern” series, the book builds upon Henry’s previously established ideas and understandings. Whereas Henry’s goal in The Christian Mindset In A Secular Society is to establish and clarify his understanding of proper evangelical political engagement, his goal in Christian Countermoves In A Decadent Culture is to assert the ever present need for Christ amidst Christian political and social action. The text is organized into three clear sections, the first of which is “the problem.” Henry argues that secular humanism’s championing of social ethics is in fact merely a pirating of selected aspects of biblical morality (11). Henry opposes this as he sees it as a shallow and ironic view. “The humanist lives by commitments that are borrowed from theism or he could not live as a human at all” (54). Henry attempts to refocus mainstream political desires and assumptions back on Christ. Henry criticizes what he calls “fantasies of a secular society;” by which he means the ideas that Western society finds most alluring, but also destructive. Henry spends most of his time criticizing two connected notions: first, that one can establish a thriving democracy using biblical social ethics, but fail to include a commitment to Christ; and second, that a thriving democracy committed to biblical social ethics is the solution to the world’s woes. 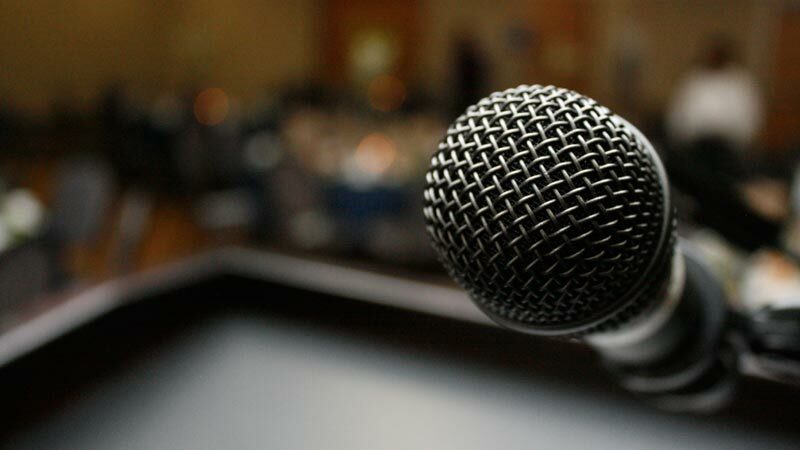 Henry’s “prescription” amounts to a presentation of the gospel message. As the text at large is concerned with political theory, Henry argues that while political freedom is of the utmost importance, it is too narrow a goal. Even the most honest democracy and social justice will never truly satisfy our soul. True freedom, he argues, can only be found in Christ. Henry thinks very highly of religious freedom, and humanity’s ability to do justice, love mercy, and walk humbly. Nevertheless, Henry maintains a robust understanding of human depravity, which he argues is the greatest barrier to human flourishing. Love, hope, and faith in Christ are the only remedy in Henry’s mind, as Christ is the only remedy to humanity’s enslavement to sin. This section is evangelically oriented, focusing less on detailing proper Christian living to believers, and more on the case for Christ to unbelievers. On the other hand, section three more directly addresses already believing Christians. Henry (somewhat comically) writes that Christians seek not to be “political tyrants but ethical and spiritual giants among the moral pygmies of our age” (98). Henry’s desire is that Christians be people who uphold moral absolutes, and firm faith in biblical truths, rather than borrow fragments.Henry’s desire is that Christians be people who uphold moral absolutes, and firm faith in biblical truths, rather than borrow fragments of them. To be clear, Henry does not see “upholding moral absolutes” and “ faith in biblical truth” as a license for the religious right to fearfully impose sectarian morality in the political arena. Rather, he simply rejects the secular leftist notion that tolerance is such an ultimate good that any and all absolutes (except tolerance) immediately denote a fundamentalist dictatorship (119). In one of his most insightful and piercing questions, Henry encourages evangelicals to consider two pressing questions: “how to encapsulate in legislation moral values that are not merely sectarian, but also constitute the ethical foundation of a viable state; and to identify the political rhetoric most appropriate to a republic in which civil government is the arbiter of neither metaphysical nor theological concerns” (119). While Henry does not specifically answer these questions, this passage best illuminates Henry’s thoughts and desires for evangelicals and political activity. Henry sees the church as an advocate for political inclusivity, rather than for sectarian legislature. In sum, this text is best read in conjunction with The Christian Mindset in a Secular Society. Whereas The Christian Mindset erects the framework of Henry’s philosophy, this text fills it in. It provides a more nuanced picture of Henry’s aversion to secularism, a more provoking understanding of his expectation for evangelicals, and a more robust declaration of his Christological doctrine. and under the supervision of Doug Sweeney.